Was about to email U, Terence, to compliment U on the Abis with re-wiring & the Pulse arm cable. Certainly to Abis re-wired by U & Pulse cable! Do U make Pulse speakers cables & how much for 8', 10' or 12' pair? No hurry that, only going to S'pore tomorrow to look at a pair of LegacyAeris. Thks, rgds & keep up the good work! Just wanted to give you an update on my 103r Paradox SMR mod that you did for me earlier on in the year. I’m listening to it now it is fantastic, I run it MC/SUT/MM I am struggle to fault the presentation regardless of musical style. To Italy with satin burgundy! I was able to install only yesterday the new cartridge and I'm doing some tests. The sound is great: all the promised improvements are maintained! but your modifications move the denon up to all another class. What a lovely cartridge you have made! The satin burgundy looks stunning, and the overall finish is first class. I now have about 100 hours running and can see exactly what you mean. The benefits of resonance control in the body are an example to ANY company making cartridges, I have to remind myself that this is a stock 103R motor/cantilever/stylus but CORRECTLY mounted in the body. I can only imagine the upgrade an improved cantilever/stylus will bring. I have been using the SORANE SA 1.2 Arm and will continue to do so. It is a stock version, no wire upgrade, but I should try this with the Cardas product. Customers own cartridge treated the Paradox way! Next week you'll receive another "modified" 103 R from Andy for the "surgery". Sometime in between I'll buy the Paradox Guard and WILL NOTIFY YOU of the need for "surgery" and a PayPal invoice that includes the surgical $60 fee. I have to acknowledge that the combination of "103 R, you and Andy" represents a revolution, audio-wise and price-wise for audio. Great seller, wonderful product - in love with the fantastic sound from my 103r! The sound of the Paradox 103r in my system is clearly a step up from the stock cartridge, not to mention your Guard body is by far the coolest looking 103r mod that I have come across. I’ve fitted the Pulse 103r and it sounds fantastic. I used some lead tape for the counter weight re-balancing as you suggested, no problems. In getting a 103r re-cantilevered with a boron or whatever you think is the best way to go plus this same Pulse guard treatment. Ok, I got the 560 ohm resistors, and holy crap! - this thing is amazing. I've always found the 103 & R to be very "open" sounding cartridges, so I wasn't really that surprised by the sound there. It definitely improves on stock by eliminating resonances and mis-tracking that I didn't even know were there. No sibilants, no congestion, just a wide open view into the recording/venue (when the recording allows). But...it is the BASS that is completely blowing me away. I think it added at least an octave. Through my 25+ year old ProAc Studio 1s (re-built crossovers and upgraded woofers) + a small sub-woofer, it is loading up my living room with clean and textured bass I can feel, with solid, audible output down into the 30hz's (via test record)! Completely amazed and couldn't recommend it more highly. 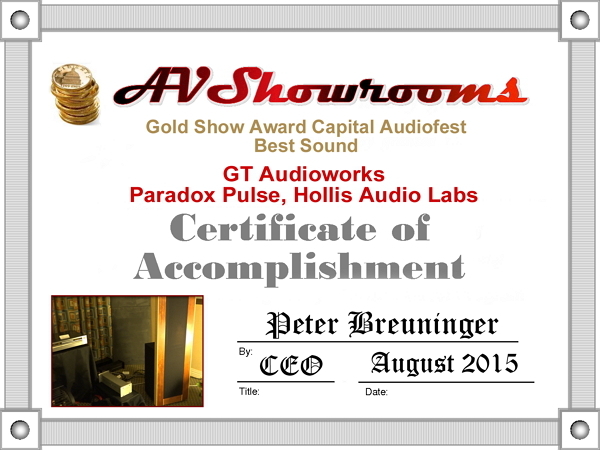 Thanks to you and Andy for providing what is surely one of the biggest bargains in high-end audio today. Terence, as my cartridge only has 60 or so hours on it (having got you to send it at 50 hours running in), I know things will change. 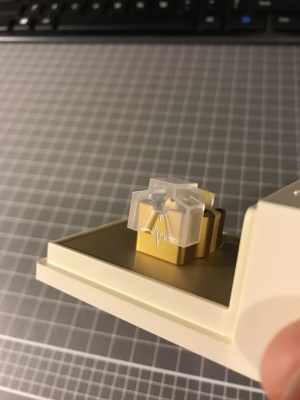 With the above caveats out of the way, can I please pass on my congratulations on an absolutely stunning cartridge. Our last MC was an Ortofon Rondo Blue, which is hardly a slouch, but the Pulse R is miles ahead. My go to audition tracks start with electric guitar solos and how much i csn hear of the instrument and playing technique. "Comfortably Numb" alone was enough to tell me how brilliant this cartridge is at opening the window to the studio. Female vocals sound simply "real", studio tricks like multi tracking are laid bare. Add me to the list of very satisfied customers. This is a stock 103R= Pulse Guard R cartridge. I just wanted to let you know I successfully completed the mounting in the DIY pulse body I bought from you on the Ebay. No real trouble except I had to select the six smallest lead shots provided for an easy fit into the side pockets. The cartridge is mounted on an Audiomods Classic arm. The turntable is a heavily modified DIY Lenco L75, see attached picture. The phono stage is a Lehmann Black Cube SE. Even without the use of a step up transformer it sounds absolutely beautiful with a seductive character and a soundstage digging into the rear corners. Lundahl LL9226 step up transformers are ordered and will hopefully add more slam. This is what a customer wrote after introducing Pulse interconnects into his system! The artisan, master-craftsman / engineering-genius cables I received were absolutely magnificent. Please be sure to let me know how much those priceless gems  will cost me; because, I absolutely, positively must repay you for all of that handcrafted artistic work and obscenely costly raw materials! Only delay in getting this message to you was the fact that my limited vocabulary hits a dead-end after Magnum Opus... Summa Magnum Opus, perhaps? ​I'm not sure that any human being could pry these loose from my hands, so it's best that you send me an invoice ASAP! I was convinced long, long ago that you had brilliant insight, native genius for audio engineering and deep, deep devotion to creating the absolute finest, no-compromise, ultimate audio systems. 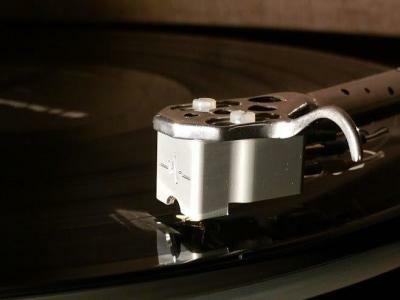 The sound that I heard emanating from your lead-weighted phono cartridge via your custom rewiring of the Abis 1.2 tonearm had a resounding bass couple with a beautiful mid-range and superb high frequency detail (without in any way sounding harsh, crunchy, or otherwise digitally tainted). Yet, at the same time, there was a silky black, completely invisible background that gave no hint of the inherently physical, needle-to-vinyl analogue source of magnificent sound. 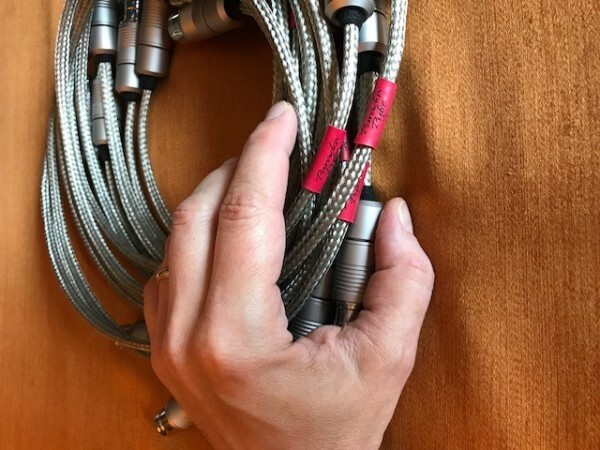 Currently, I'm luxuriating in a sea of sonorously sensuous sound streaming from components interconnected seamlessly with your sensational custom-crafted cables. Looking forward to hearing of your 100% recovery from the flu and next product arrivals! Check back frequently to see the latest raves from others. If you would like to see your comments send me an email so I can post, watch the spelling as I do not correct, cheers. You truly need to hear all the Pulse products as they leave others in the musical dust! Well I got back from vacation and installed the cartridge on Monday evening....WOW! Absolutely brilliant. Maybe it's my imagination but it almost seems like it is sounding even better after a few hours of play. Could the armature need a little time to get "used to" it's new surroundings? Just wanted to thank you again....you the MAN! On the 13th of October I bought above cartridge from you, already run in so I could start enjoying music right away. A few weeks later you asked me how I liked the cartridge, I was unable to say, it was still in its box. This weekend I built an MC Head Amp with the intent to use it with your cart. Today I fitted it and set it up, the Dr. Feickert Analogue Protractor makes an enjoyable excercise of this chore. 1) my Head Amp worked without issues. 2) your cart sang and I mean it really sang, suddenly I realised what I had been missing out on with the Grado Gold. Although I always enjoyed listening to it. I suddenly had way more tight, clean impressive bass, which I found the Grado always lacking, since I had a memory how some records sounded on my old 103S with Van den Hul stylus. I think the biggest compliment I can give is that I listened to some records on which "Not much was going on" they sounded like a diluted watercolor painting. But with your cart painted in vibrant colors, they were transformed into exciting records and boy, a lot was going on on these records, more than I ever imagined. So it took a few months and you probably thought you'd never hear from me, but today I was one happy camper. So glad I bought your cart, I put some pics on Instagram search for "Meerderheid" it is Dutch for The Majority, I tagged Paradoxpulse, so this will be you right? One question though, I set it up for 2.5 grams tracking force, is that o.k.? and thanks for this great cart. Another Paradox Pulse Guard customer. 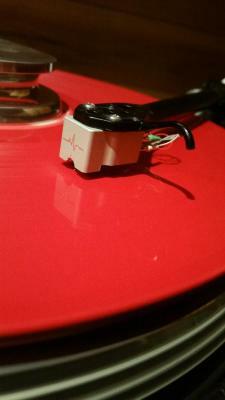 There is no better modification on the planet for the Denon 103 or any of its variants! Just wanted to let you know I received the upgraded cart back, found some lead tape (after a vigorous search) and got everything mounted up and aligned last night. Put on my first record - The Cowboy Junkies' Trinity Sessions - and sat back flabbergasted as this beautifully transparent, detailed yet fully fleshed out sound emerged from my system. Wow! Best money I have ever spent! I commend you on your tremendous work and the great value your Pulse Paradox upgrade represents. I'll be glued to my system this weekend reveling in my vinyl. I used an old picture as I did not take one of James, sorry​. The cartridge came this morning. I appreciate the extra efforts you made, to make sure the box came with no issues. I installed it on my Dynavector arm. I'm sure you know better than me, it might be the easiest high end arm to install a cartridge. I'm listening to my second LP side, and it sound terrific. I see no difference, and maybe better in some areas,than my $3500. Koetsu Rosewood model. I think the R has a better mid-range. It seems to be very clear. Thank you again. Your cable look amazing ! I do not have the funds to purchase the DAC, and wont have until the beginning of March. I would like to try a set of your cables. Would you consider making a USB cable ? I have a DAC that I want to have an audiophile USB cable, when I attach my Macbook Air, for music. I would also be interested in 1 pair of RCA cables to go from my Phono Preamp to my system Preamp. Thanks again. I am not on Facebook, only LinkedIn. If you would like a nice posted referral or testimony of the R cartridge, please tell me where you would like me to post it. Really like the cartridge!! Listened to 5 albums with my current setup. As for the cables I put them on for an album side. I have not had alot of listening time with the cables. Picking up kids from college, etc. But I have my 4 critics(kids) home for the holiday. If it's ok I will let you know Sunday night on the cables. That way I can pay you or mail them back on Monday. If you want me to do something different let me know. Custom RCA to XLR adapters. This customers pre amp (Dan D'Agostino) only accepted XLR inputs so he needed adapters as I only build my Pulse wire with RCA's. He also got a rewired Abis SA1.2 tonearm and the DIN to RCA adapter box with Pulse wire. I used a Cardas phono box with some custom work to fit my RCA's. I could have my machine shop make me something but why reinvent the wheel. I can make many custom products let me know if I can build something for you. I believe that people should get the best bang for their buck and your cartridges achieve that effortlessly along with build quality that punches well beyond there price. Terence, I must apologize. I feel that I completely ripped you off. Its as if I should send you a stack or two of twenties. The impact your $55 DIY aluminum body has made on my system is simply, flat-out, the best upgrade value I've ever encountered in 10 years of DIY audio projects! The changes are not subtile and really illustrates how head mass is good when running a DL103 on a Rega RB250. The project was fun as well. My cartridge de-bodied very easily. Removing all the plastic possible was straightforward (thanks for the tip). Adding lead and potting went smoothly. I accelerated the cure of the MG Electronics potting epoxy by warming the cartridge at 150 Deg F for 90 minutes. The only snafu was with my counterweight. The J.A. Mitchell, even with the heavy weight, could only get me to 4.2 g of VTF. The cart and screws came in about 15.5 g. I ended up putting the stock Rega 150 g counterweight on the Mitchell stub. Even then, I had to tape a little more weight to get me to 2.5 g VTF. I've been wanting a reason to get the Groovetracer counterweight and that should have the mass to do the trick. I now see a 103R in a PP Guard body in my future. Maybe even a sapphire cantilever with a MRD eventually. Thank you for supporting the DIYers out here. It is not always about saving cash. For me (while lowering costs are a big help), it is the increased involvement and satisfaction that DIY brings to the audio hobby. Knowing that I had a hand into a solution feels great. New mounting ring for a complete mono set up. Many thanks for your thoughtful consideration! For those that try Paradox Pulse products there are big rewards in musical enjoyment as they are the result of 40+ years of learning and effort. I receive many phone calls telling me what is thought of my products and I love listening to you, the customer, and how happy they are. I do not get many emails that I can post for others to read so I am grateful when something like Andrews letter arrives (please use extreme care around your cartridge by installing the guard and or removing the headshell when cleaning around the cartridge) other than the broken cantilever part. 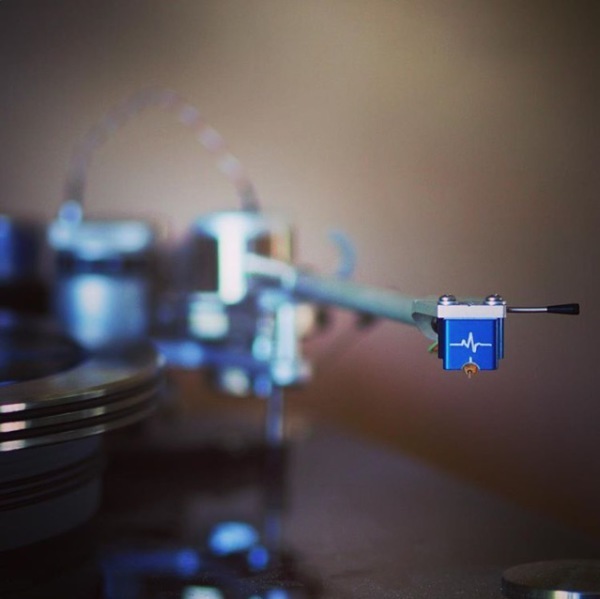 Andrew has tried many custom parts including Pulse interconnects, adapters for RCA to XLR, adapter box DIN (tonearm connection) to RCA using Paradox wire, Cardas Clear headshell wire, rewired Abis tonearm and Pulse R cartridge with Sapphire cantilever and Micro Ridge diamond, SMR. I thank all my customers for your support and please try some of my other products as you will NOT be disappointed and the electronics and cable have money back guarantees. There is nothing else like them at any price and I mean that in a good way. The breath-taking music emanating from your creations defies adequate description. I was so engrossed in album after album, night after night, that I couldn't pause long enough to compose a complete email to you from greeting to closing without refocusing on the glorious sounds generated by your combined masterwork on the Abis 1.2 tonearm and Pulse R cartridge. Instead of the attached photograph, I had hoped to send you a 4K hi-def video of your artistry enabling the TransRotor "Fat Bob" to sing like a world-famous tenor at the Metropolitan Opera here in NYC. And that's where I went terribly wrong. The second or third-hand m, demo TransRotor turntable I acquired just couldn't match the perfect finishes on both the brand-new Abis and Pulse R. So, with some assistance, I was trying to polish up the heavily patinated "Fat Bob" to capture all the synergistic beauty in a video to send you via Dropbox. In the laborious process, a loose polishing cloth must have caught the cantilever and stylus. At first, I thought I was exhausted and merely needed my reading glasses and a bright LED flashlight to see the cantilever, but I was horrified to see under closer scrutiny that the entire cantilever apparatus was gone. Tonight, I will continue to comb through the carpet pile in desperate search of the missing limb with the precious stylus; but, at this point, I'm gravely concerned that it may never be recovered. The good news is that I had more than ample opportunity to realize the extraordinarily fine match of your artistry with my existing equipment. The background was a silky, jet-black silence; yet, the music was powerful and exceptionally well-balanced across the entire tonal spectrum. Therefore, I not only wish to take full responsibility, but also enthusiastically send you full remuneration for an entirely new Pulse R of the exact same specifications and very fitting silver/aluminum colored body. If I recall correctly, I may have purchased your last silver bodied cartridge. I don't know how long it may take to reorder, so perhaps I'll go with the gold colored version if you have one on hand. If reordering doesn't take too long, I could wait for another silver body. Regardless, I have already sent you $2,100.00 dollars via PayPal as a good-faith deposit on a replacement cartridge and express shipping once again. You truly have an incredible product, which makes me have no hesitation in forwarding you additional funds. If you haven't received it, please let me know right away. Customer 103 sent in for Guard/potting. Thank you very much for your excellent work on my Denon 103,I am very happy about my entire transaction and your very quick response! I am sure that i will do business with you again in the future. It is real pleasure to come into contact with people like you. If you need any references concerning your work please don't hesitate to let me know. Thank You again and warmest regards. This customer did all his own work, the pics are mine, just for examples. The Pulse Guard with new Denon 103R complete with new Paratrace stylus is fitted. I had to add a fair bit of extra weight to the tonearm counterbalance. That is all done now and the VF is set to 2.4gr. I know I need to wear in the new stylus by 50 - 100 hours, but so far I am delighted with the sound. The bass is deep and tighter than before, the mid-range is clearer and the highs are crystal clear. The stage has widened and moved forward. Channel separation is improved. I really love it. I'm just listening to Miles Davis' Kind Of Blue and it sounds wonderful. Thank you for all the testing, development and engineering you must have put in to produce this modification. to follow up on our conversation this past week I would like to relay some observations regarding the performance of a new Pulse R after incorporation into my audio system. First, the system into which it was inserted is fairly heavily tube based - VPI Classic turntable w/options, Manley Chinook phono preamp, Prima Luna Dialogue Premium preamp, Amps and Sound Casablanca mono block tube amplifiers, and a pair of custom built three way speakers (15” radiating base, Fastlane Audio mid and upper horns with BMS mid drivers and B&C upper drivers, and ALK Extreme Slope crossovers both lower and upper pairs). Wiring is all Kimber Select copper throughout. So a fairly warm system - but capable of great detail if the signal carries it. 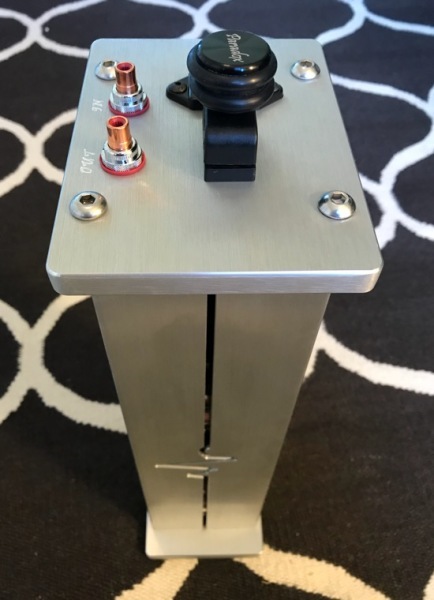 Prior to inserting the PulseR I had been running an Ortofon 2M Black moving magnet cart, which I felt (for a moving magnet in any case) provided pretty good punch and detail. However, after dialing in the PulseR I I was blown away at the improvement. There was an unmistakable increase in delicate detail in the upper ranges, more pleasing nuanced organic warmth in the mids and (although I was not sure it would be the equal of the 2M Black in terms of low range punch and energy) the lower range captured with the radiating base had fabulous energy and very well defined punch. Wow. It’s just a joy to listen to in that it has such pure “musicality” in its character. This cartridge is a thoroughly enjoyable, all around outstanding performer. The soundstage is huge, the separation between instruments is wonderfully defined - with a black backdrop - and the presentation is carried with high energy throughout. A huge improvement in my system. I just don’t know how it could get much better than this !!!! This cartridge exceeds my expectations - I love it. I’d just like to pass along a “thanks” for contributing to my increased enjoyment of music. The PulseR is a real winner. Look at the first picture, a contact cement was used allowing for my removal. The plastic body is gone but not the surrounding plastic, the plastic is the enemy, kill it! Look at the difference between bodies. 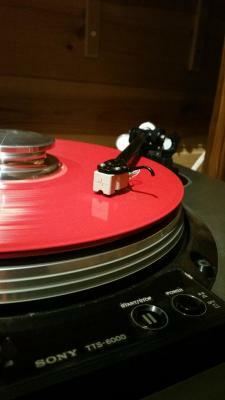 This is a customer's Pulse Guard R cartridge mounted in a VPI tonearm. I liked the picture so much I used it in a brochure and put it here for you to enjoy. By the way he likes it a lot. I hope he gets the Sapphire cantilever with Micro Ridge diamond it is as much of an upgrade as the Pulse Guard body is to the Denon. 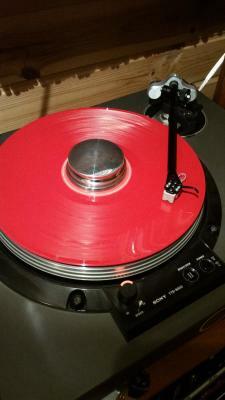 This is a Denon 103 installed into one of my Guard bodies and installed onto one of my break-in turntables. You can purchase a Pulse Guard 3 for only $450- shipped in USA. If your budget is tighter then opt for a NOT matched channel and NOT brok-in for only $380- shipped in USA $25- other countries. No better way to get introduced to Paradox Pulse. Pulse Guard body mod sale, the photo is not the actual cartridge that was modified, this one already had a Ruby on it! I didn't forget about you Lol. I would first like to thank you for this excellent mod. I have received the cart Saturday and have been playing it since Monday. It is very good. I think it deserves a retipping to take advantage of the improvement. I would never have thought of retipping the original cartridge. I am not good with words to describe the sound. It is just so much fun listening to music with this new body. I used lead tape to the counterweights to get the proper settings. I have tried it on my 2 turntables. I believe I use about 10g on my vintage Sony DD table with its arm. I used about 7 grams on my SOTA with the Origin Live arm. I am leaving the cartridge on my SOTA so I will remove the tape from the other arm counterweight. Not so bad, like you suggested. Thanks again for the nice mod and excellent re-body work. I will be showing this to a close friend and get his take on it. I’m not going to write a ‘review’ of your DL103 body. I don’t think that would be fair, as they are likely to be used across a wide range of arms and tables of various capability. Mine is in a Rega RP10. I have been using DL103’s for 10 years. I always return to the 103, as it has a natural presence to it that I really like, across all genres of music I listen to. I think that what you have done makes something already very good , a whole lot better. I’m impressed, and when the time is right , I will buy the ‘complete’ cartridge off you. Thank you for what it is you do. This is the new Sapphire cantilever micro ridge diamond mounted in a Pulse R.
The Sapphire cantilever just edged the Boron from the top spot. Perla Audio likes it so much that they now use this cartridge for their equipment demonstrations. It is also my favorite and although most do not believe, it WILL compete with the best of the best cartridges on the planet. We typically load this at 680 ohms your results may vary slightly. I know this is my testimonial so it probably should not count. This is my new Gold color the body is sandblasted before anodizing thus the mat look. It also uses the new damping standard of 20 pieces of lead inside the motor area and 20 in the vertical perimeter holes for 40 pieces total, weight 16 grams. I have played about a dozen albums so far and I must say I am very pleased. More music is extracted and the sound that comes out of my speakers is wonderful. Beats my Dynavector for sure. I have it loaded at 450 ohms which sounds best to me. Thank you again and good luck with the Newport show. I did not take any pictures of the actual Pulse R that this customer purchased so I used this one of a Pulse 3. Hi Terrance. Installed the Pulse Saturday night. Wonderful. The last album I spun was Dave Gruisin "Out of the Shadows". As I listened I realized that I haven't been hearing my music til now. Smoked my Benz Micro and my Crown Jewel. I also preferred it to my buddies Koetsu Black. I have it loaded at 100 ohms through my Manley Chinook and it sings. The rest of my system includes an Oracle (SME) 345 arm, Sota Cosmos turntable, Audible Illusions preamp, Levinson monoblocks and Dunlavy SC V speakers. Your cartridge may have meager roots but your finished product is right at home with the best audio has to offer. Well done sir. "You probably do know my crown jewel. It's basically a rebadged shelter 501." I did some more listening last night. I had a better chance to listen properly with children asleep and a quiet house. The level of detail is amazing! Like I said before, I can almost visualize the arms of the drummer moving from tom to tom when doing tom rolls. I was listening to Jazz at the Pawnshop and could almost see his arms move left to right as he played the xylophone. It seems much more balances across the frequency spectrum as well. The highs have extended somewhat too. I used to run sound in Detroit back in the day and my “test” is the attack and sustain of a cymbal hit as that is very difficult to reproduce. Every mod I do to my system makes that sound much more life-like and your body upgrade made another huge jump towards making that sound realistic. I have never owned any cartridge more expensive than the DL-103R but I have heard several. One of my favorites was a Koetsu because of the level of detail and balance. I think my Denon now achieves 90% of what I heard with that cartridge. I’m hoping with a Soundsmith re-tip that I will be set for good. This August, I sent my stock Denon DL103R cartridge to you for upgrade and now that I have 50 plus hours of playing I wanted to provide you with my feedback. I don't actually track or note my playing time but I typically listed for 1 to 2 hours each weekend (wish it could be more) plus I listen here and there in the week but I think 50 is fairly close. 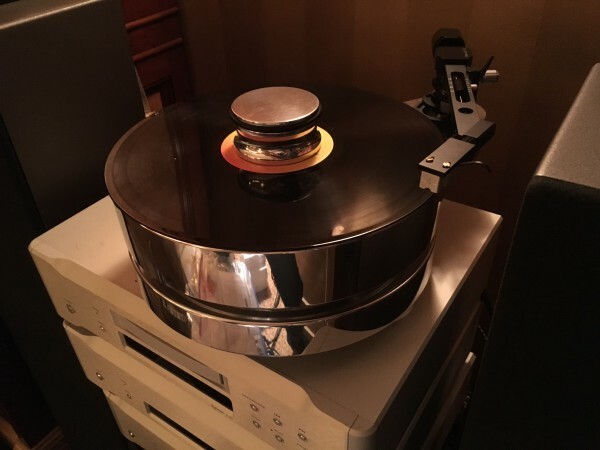 When you sent back my reworked cartridge everything looked great so I mounted it up using the provided protractor that came with my Music Hall mmf 9.1 turntable. You suggested 100 hours for break-in so I didn't do a critical listen for several hours. I did note some things however. The very first hour or two the cartridge sounded terrible! bright, compressed, sibilant and etched... My system at the time: Music Hall mmf. 9.1 Turntable BAT VK-30 Preamp Pro Ject Phono Box RS Musical Fidelity A308 Amp KImber 8 tc biwire B&W 803S Rega Saturn Kimber KCAG IC I adjusted the gain to 60 and the loading to 600 ohms and started into listening. After a few hours the cartridge opened up nicely and I started to realize that it may turn into something special. The sound-stage opened up and the edge began to wane. Fast forward... I made some changes to my system, the first was to go to Audioquest Pikes Peak bi wire speaker cables. The system was sounding very nice but there were noise issues and I realized that my tubes were going and I needed to address these soon. I kept listening but these issues held things back. I replaced the tubes in my VK-30 preamp and then bought a BAT VK-10SE with Super-Pak phono pre. I then set up the cartridge using a Mofi Geo-disc and I paid close attention to VTA (exactly 0 deg.) and reset my tracking to 2.508g using a Accoustech digital scale. I took my time and I feel that my cartridge is now properly set. Now... The cartridge sounds amazing to me. Wide open sound. Sibilance that was there before is completely gone. Very neutral and I feel it doesn't favor or hinder any frequency. Extremely musical and great detail without any hint of analytical drawbacks. The VK-10SE really helped but that is an $8k phono matched with a sub $500 cartridge and the combo sings!!! I couldn't be happier and I would highly recommend the Paradox Pulse to anyone and everyone. You were great to deal with and you turned around my cartridge in 3 days... Exceptional results, exceptional communication and exceptional service. I will spread the word!!!! for money, I can't think of a cart better. Video attached. First a little background. 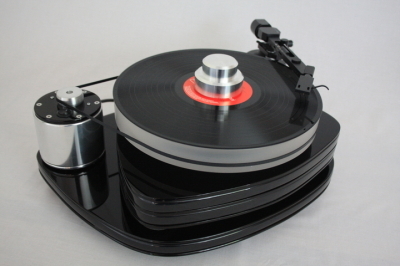 I started my current turntable adventure several years ago with a stock Rega Planar 3. I decided to get serious about upgrades and one thing led to another. I'm a retired musician so I was really look for a super acoustic, orchestra, chamber music sound. My system is modest but has been put together with thought and care. I have Merlin speakers, a Audio Note 300B kit my wife and I put together and latest is a Red Wine battery powered Tri-path based amp. I have a battery powered Ray Samuels F-117 phono amp , all of which I am quite pleased with. My turntable has been put together by me with parts sourced from around the world. England, Malaysia, Argentina, et al. 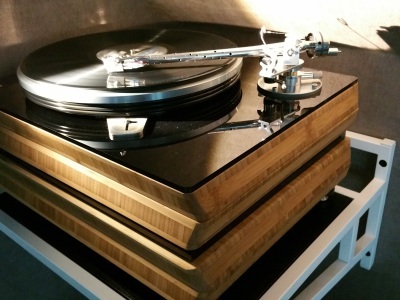 My biggest and best resource is my AudioMods tonearm, hand crafted in Kent, UK by Jeff Spall. My first two cartridges were the Denon 110, a great , cheap cartridges and moved up to a Denon 304. About a year ago I invested in a Dyna Vector 20x2 and was entertained for quite sometime. But something was missing. 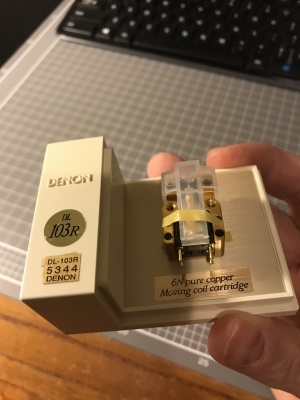 I had read a lot about the Denon 103 and 103R and the Denon/Zu but just couldn't imagine moving forward by moving backward to a lower priced cartridge until last week when I read a great comparative review in 6moons that pushed me over the edge. I had been tempted by your offerings for some time so I decided to take a $300 chance. So far and I think for some time to come, it is the best $300 I have chanced in my audio adventure. The AudioMod arm was actually used in the early development of Zu and Jeff recommends the Denon/Zu very highly, so the symbiosis is pure magic. You mentioned , off hand , that your products sounds better. I have not heard the Zu and have no desire to after putting your cartridge in place. Everything said in the 6moons review was lock step with my sonic adventures, except that I took my $300 chance with you instead of following the zoo. I can't imagine being more satisfied with a product as much as I am with yours. In the grand scheme I am nothing and nobody but I can hear quite well thank you. And what I hear from your product is music instead of acoustic mechanics. After installation I haven't fiddled with loading. I started at 100 and am bowled over by the power and beauty and imagine that I will leave well enough alone. It's been a pleasure doing business with and if anyone asks tell them that this short , bald, Almost Heaven, West Virginian is bring in the New Year with the cartridge of my satisfaction dream. I'll have more later. Know this. Your cartridge is better than anyone will believe. Dan Rosca, DR Consulting, Buena Park, 714-402-1760, a true Linn expert, carefully examined your workmanship and found it impeccable. He worked hard to tune my Linn Sondek LP-12/Ittok LVII so that it would work. I doubt if you've heard better. He adjusted the phone stage input impedance to 600 ohms after careful listening. He cannot believe that the cartridge already had 50 hours on it. The sound was better than any other 103 mod he's encountered; although he thought XYZ did a good mod years ago at 3x your price. BTW He didn't use the lead tape, because he had some tooling. The expensive counterbalance on eBay is better than the Linn one, but I stuck with stock - pricing. You and Dan are similar people in some ways. I'm not sure you'd get along - strong, tech opinions, but you're both very good. Lastly, the reason he opposed your cartridge was that the weight puts more force on the tonearm bearing. Linn tonearms are designed for light cartridges. He really wants to mount your cartridge on a Grahm 2.x series arm or a VPI. Lastly, my system is now show quality. OMG the sound is now heavenly. 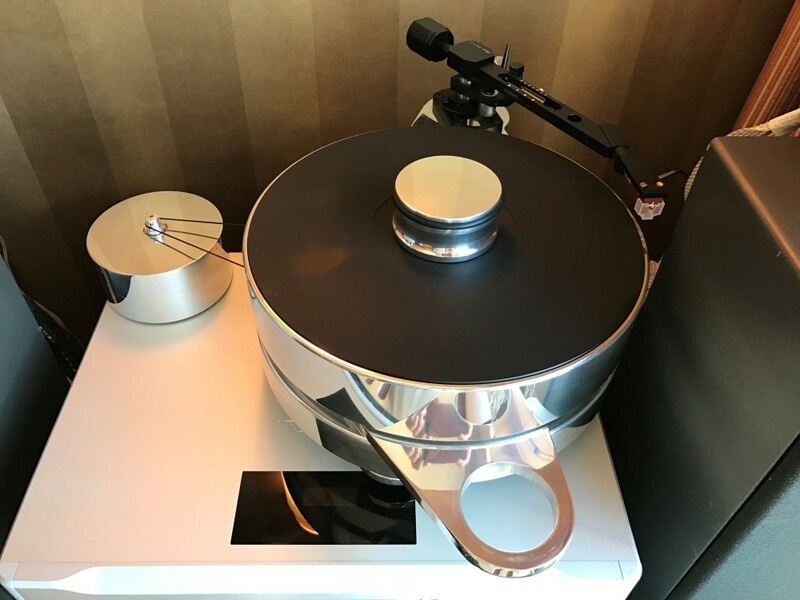 After thirty years in Southern California with a Linn Sondek LP-12 turntable and Ittok LVII tonearm, I've quietly encountered almost all of the leading installers and maintainers of LINN audiophile products. None have exhibited the talent, insight, and dedication of Dan Rosca. Fortuitously, I've worked extensively in precision engineering of optics and motion control, where nanometers matter. Mr Rosca will speak extensively about the effects of cartridge mass, dimensions, compliance and bearings. His words may not be exciting, but if you want to get the most out of an audio setup; they are sweet. His statements are not BS. Dan backs up his knowledge with extreme attention to detail and professionalism. My tight budget and unusual request pushed him. Asking him to install a modified Denon DL-103, which is too heavy for an Ittok arm; along with an inappropriately designed tonearm cable placed him in a territory where he could not guarantee great results. Other technicians would simply install, take the money, and waive goodbye. Mr Rosca presented the case against doing what I requested first, suggested alternatives, then he did everything possible to make my request work. 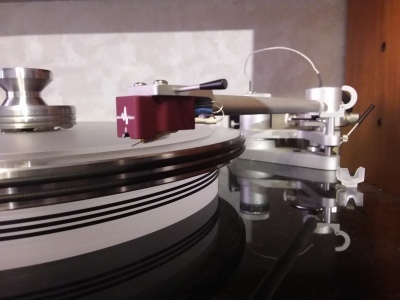 He spent hours inspecting, measuring, adjusting and listening to not only reassure me that the wrong cartridge was superb, but he also tweaked the tonearm brilliantly so that it would counterbalance the excess mass correctly. He could have used lead tape, but it would have been inelegant to his eyes. He went so far as to borrow my phono stage so that its impedances could be adjusted during listening. To put it differently, he gave Ferrari effort on a Miata. Sugar. After Dan finished installation and tuning, my deck sounded better than it ever has. In my home, guests, who've known the system over years, marveled at the dramatic improvement in what we all felt was already great sound. It should be noted that Tim Miner of Pacific Coast Audio, Corona del Mar, introduced Mr Rosca to me and allowed Dan to work in the store to make the logistics easier for Tim's customers; of which I'm a very, very small one. His graciousness is appreciated. If you're on a review site, I'll be glad to post. Thanks for your e-mail. I'm listening to music every night with a big smile on my face. All problems with the s-sound are gone and it sounds great. My records has never sounded as good as now. I started to by records in the mid 1970 and today I can hear new things on the old records. It's great. The sound was totally different than before. I couldn't stop smiling all the way while I was listening. The cartridge arrived an i had today the time to listen. It sounds great, much better then the original Denon DL-103R, tanks. The Newport Audio Show 2015 Pulse cartridge introduced. Paradox Pulse Amplifiers and all the cabling. Start video at 12:08 in for GTAudioworks and Paradox Pulse review. This is a tour of the room video enjoy! The table in back has a VPI with Pulse 3 Ruby cantilever, a Paradox Pulse MC phono and a Paradox modified JVC 1050 from the 90's. 103 sounds wonderful - thanks! 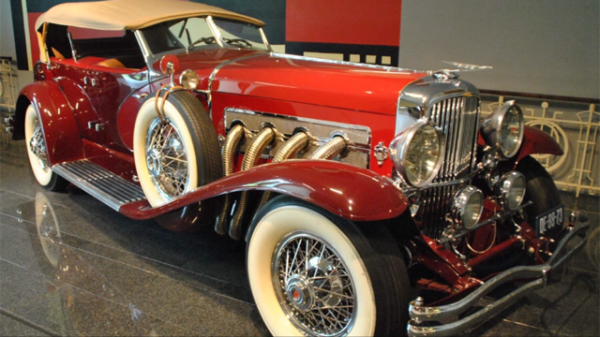 I have a Benz L2, retipped by Soundsmith, and the 103 is much more lively. Not quite as good as the Koetsu Rosewood, though, but for $300 how can I complain? I think that your Denon 103R with your 103 body is very special. Is it the same of Zu 103? I have two other Denon dl 103 that I made myself in two other bodies: one is the wood Soundsmith, one is alumide body: i didn't break anything, but I think that your 103 is the best of all, and the most difficult to make. A-100 and 103 both with Ruby's in my Pulse Guard. This is a very happy customer. 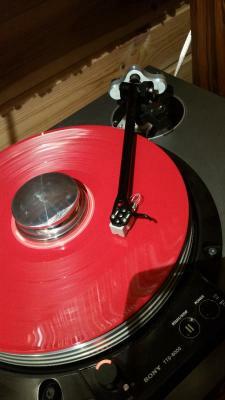 Just installed on my Jelco 750D on Garrard 301, sound very nice, I am very satisfied. My Kuzma KC-1 doesn’t fit Garrard 301 too well, now I feel much better. Thank you. 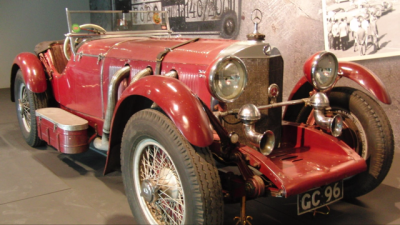 Both David and I have a Jolida JD9 MK II, we want to know how much for you to mod it? Please let me know.